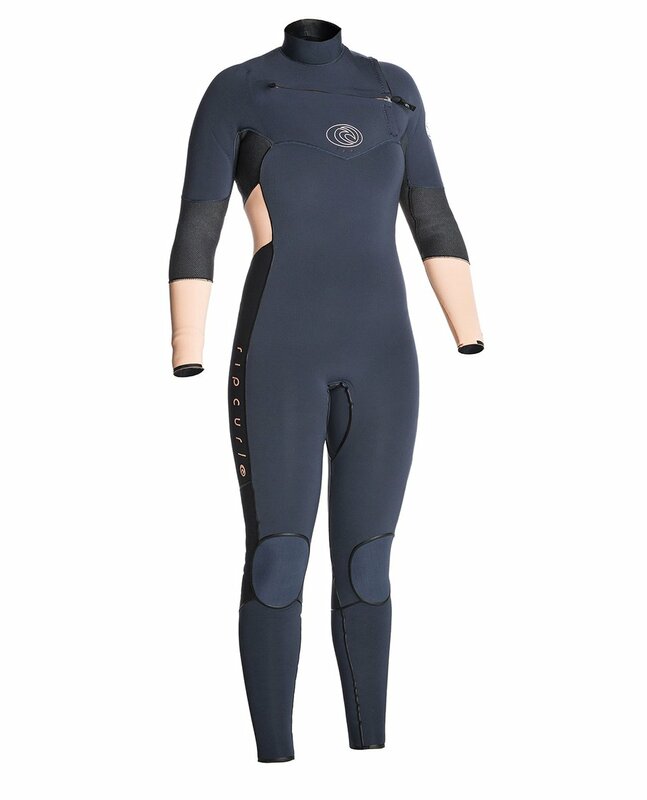 This suit features all new E5 Flash lining which has 25% more stretch and is lower profile and lighter than its predecessor. The pattern offers a more feminine look and feel. Other features include 3/4 aquaban plus tape, E5 tape in arms. 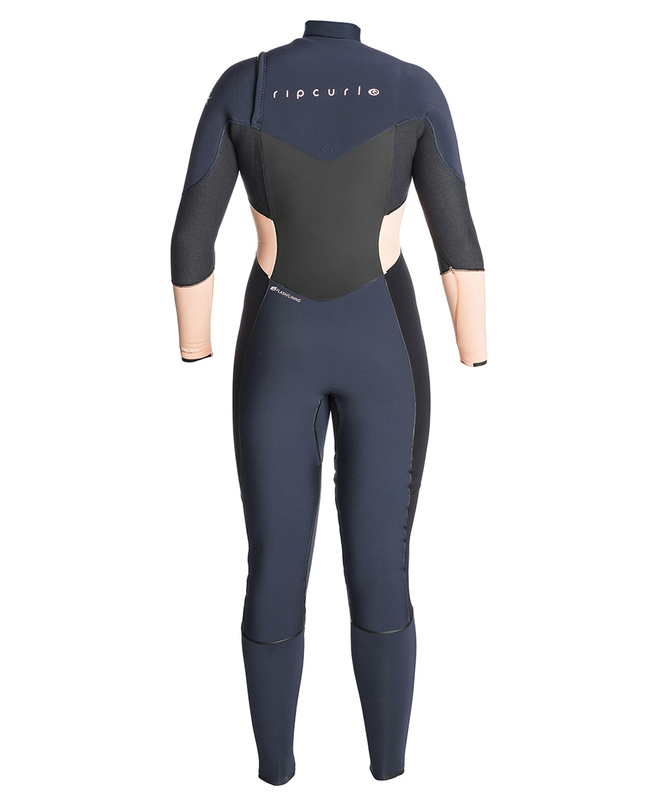 Rip Curl new and exclusive E5 Flash Lining with 25% more stretch, lower profile and lighter. Two engineered layers that funnel water rapidly out of the suit making it the warmest and most comfortable lining available. Slimline Liquid tape technology for Ultimate sealed seams. Featuring a low bead to increase stretch performance, it acts as an external barrier to cold water by further increasing the integrity of the seam. Smooth mesh panels that absorb solar heat and reduce wind chill. Super stretch tape offering the ultimate in seam seal, stretch, and comfort.